Serbia, Mladic in exchange for EU membership? ﻿﻿﻿﻿The arrest of Ratko Mladic is certainly a major step towards a faster integration of Serbia within the EU. His detention has also closed a bloody chapter in the former Yugoslav history, bringing the region closer to reconciliation. The full co-operation with the International Criminal Tribunal for the former Yugoslavia (ICTY) is the main pre-condition for the negotiations with Brussels. The EU signed a so-called Stabilisation and Association Agreement (SAA) – including an interim deal aiming to facilitate economic and trade relations – with Serbia in April 2008, but then decided to freeze it under Dutch pressure. Only in December 2009 the Netherlands put aside objections related to Belgrade’s performance on war crimes probes. 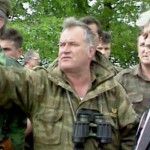 General Mladic led the militia of the breakaway Republica Srbska, which sought to impose a Serbian identity on the multi-ethnic state of Bosnia; he was the architect of ethnic-cleansing schemes that included the Siege of Sarajevo and the 1995 Srebrenica Massacre in which about 8,000 Bosnian Muslim men were systematically executed. He was indicted by the UN war crimes tribunal in The Hague in 1995 for genocide and other crimes. The hunt for Mladic started already at the end of 1995. Many observers in Serbia and in the EU suspect that the general has been protected for years by Serbian security forces loyal to President Slobodan Milosevic, who was ousted from power in October 2000. Mladic’s former political master Radovan Karadzic was arrested in 2008 and is still in The Hague. By the end of the year, after so long negotiations, Serbia will have the chance of formally becoming an EU membership candidate and getting a starting date for accession talks. Serbian President Tadic rejected criticism that Belgrade had only taken action following international pressure and had not calculated when to arrest Mladic, who is considered a hero by local nationalists. But there are still too many unanswered questions. The European integration of Serbia, Bosnia, and Kosovo is the promise in exchange for concessions to old enemies and the achievement of a complete stable peace in the region. The problem is, however, to understand whether the 27 are ready to accept new members, who have such big open questions in their recent history.